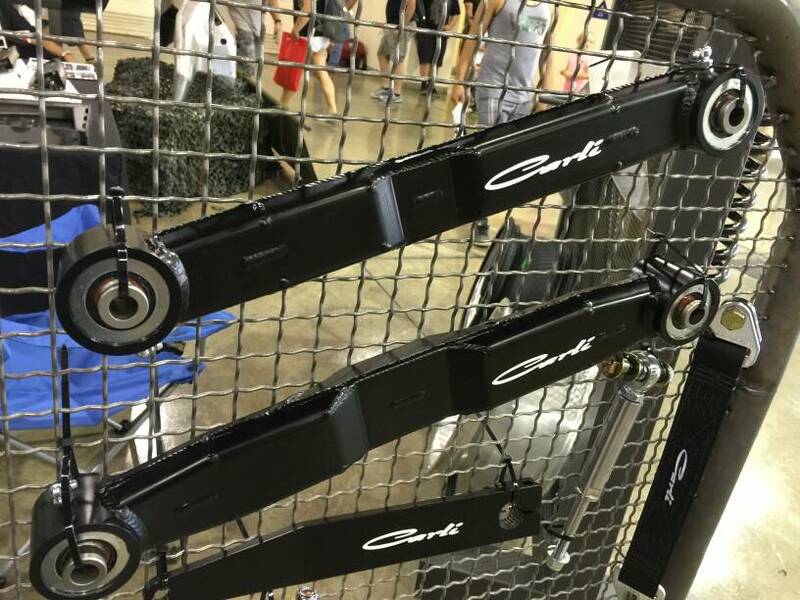 Carli Chromoly Control Arm Closeout Sale! 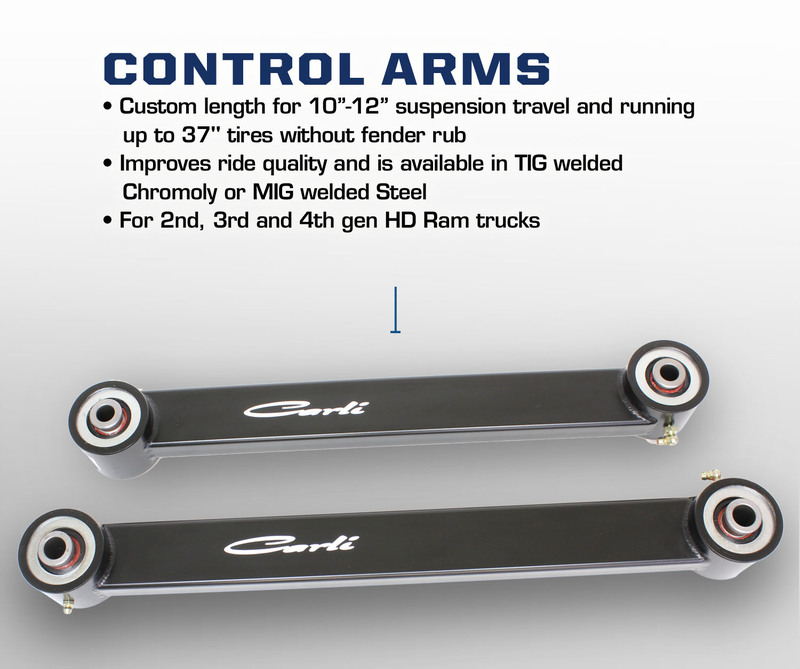 Here is your chance to get a set of Carli's coveted tig welded chromoly Dodge control arms for the same price as the mig welded mild steel versions! That's a savings of $250 a set. These are in limited supply as they are being replaced with there upcoming high clearance fabricated arms that will retail in the $900+ range. These offer additional tire clearance due to the offset design but not as much as the upcoming high clearance arms. The new arms will be in the $900+ range so Carli has decided to blowout the current Chromoly arms. I have them listed with the discounted pricing on our website but please double check with me on availability before ordering. We bought a good portion of the remaining stock but it's only about 10 trucks worth so they won't be around for long. Re: Carli Chromoly Control Arm Closeout Sale! Yup thats because they are being replaced with these new high clearance design. azracer wrote: Yup thats because they are being replaced with these new high clearance design. These are in limited supply as they are being replaced with there upcoming high clearance fabricated arms that will retail in the $900+ range. 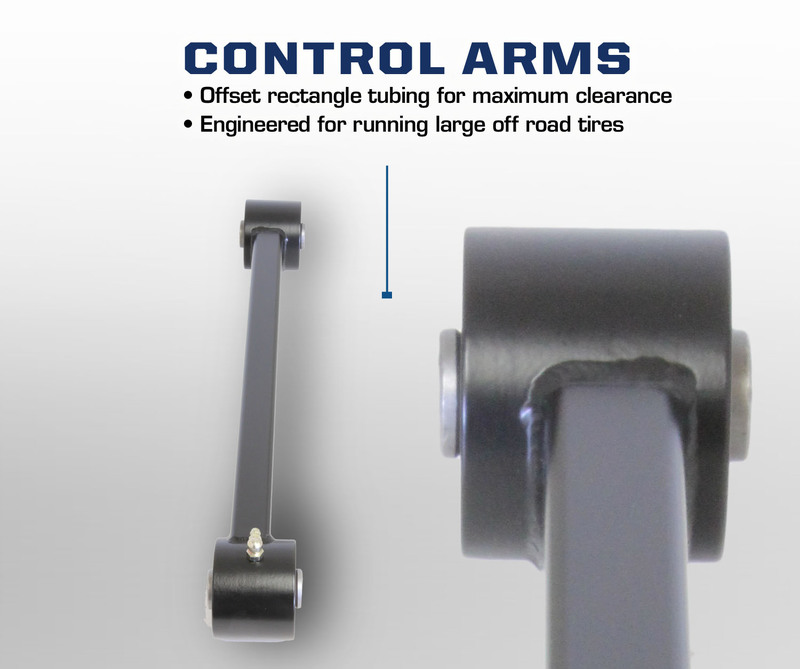 The new high clearance arms are going to be fabbed mild steel arms with the intent to run 37" tires on stock wheels with no or minimal rubbing on the arms. The current arms are still an offset design that allow for 35's on stock wheels or 37's on aftermarket wheels.